If you have read my blog for any amount of time, you will know that I am a face mask addict. I have tried so many different types from so many different brands and always have a few on the go. I really didn't need to buy another mask, but a few weeks ago I bought Oskia Renaissance Mask after reading so many positive reviews and I want to share my thoughts on it with you today. My skin is dry, dehydrated and sensitive but Oskia say that this mask is suitable for all skin types so I wasn't too worried about trying it. 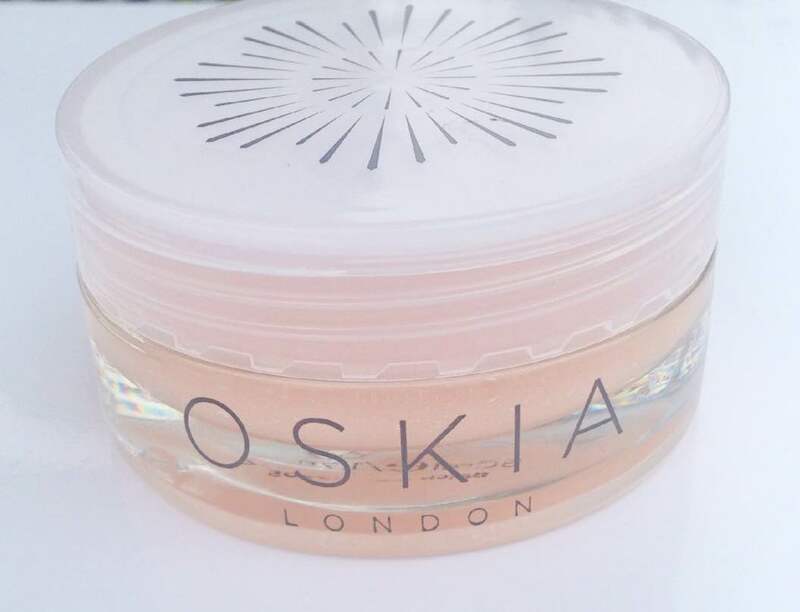 I have only ever used one other Oskia product and that is their Renaissance Cleansing Gel which I didn't have any adverse reaction to, so I was happy to go ahead and order the mask. It is described as a brightening and resurfacing mask, which very much appeals to me because I am always on the quest to have brighter, more radiant skin. It comes in a tub, which is quite heavy due to the glass base, so it wouldn't be one for travelling but it isn't an issue if you only plan to do face masks at home. The mask itself contains fruit acids, which exfoliate the skin, enzymes to de-congest the skin, prebiotics to help fight bacteria and lactic acid, which reduces the appearance of fine lines and softens the skin. It is similar to Ren Glycolactic Radiance Renewal Mask in terms of what it aims to do. 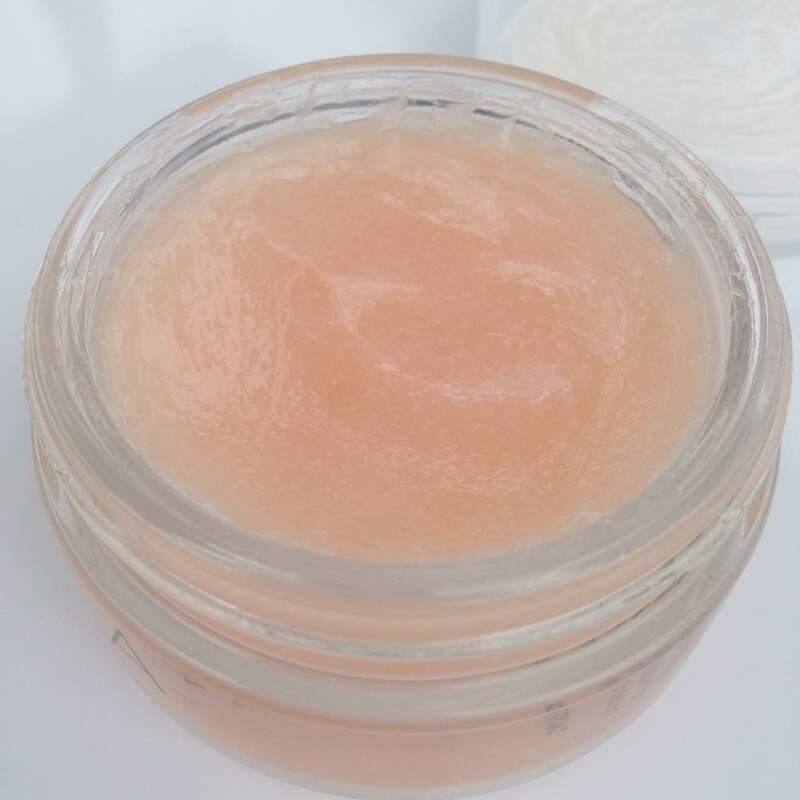 It is peach in colour, but when you apply it to cleansed skin, it turns white as you massage it in and at this point, you know it has started to work. It has a beautiful soft rose scent, which I love but might not be for everyone. It is left on the skin for 10-15 minutes. During this time, you feel a mild tingling sensation but nothing too alarming. After 10-15 minutes, you splash with warm water and massage in again, before rinsing. The first time I used it, I couldn't believe how clear, plump, soft and hydrated my skin looked. My pores seemed to diminish in size and my skin looked generally brighter, IT IS LOVE! I have been using this mask once a week for the past few weeks and my skin is loving it. I would go as far as saying that this is one of the best face masks I have ever used. It does everything I want - exfoliates, hydrates, deeply cleanses and adds luminosity. Although it is expensive, it is a "does it all product" and would be less expensive than buying a number of products to exfoliate, deep cleanse and hydrate. If you have any of the following skin concerns, then I would highly recommend this mask: congestion, dryness, fine lines, signs of ageing, flaky skin, blemishes. I am so happy that I bought this mask and know it will repurchased several times! Have you tried any Oskia products that you would like to recommend?